LEBANON JUNCTION, KY (WAVE) - A search is underway in Bullitt County for a missing child. 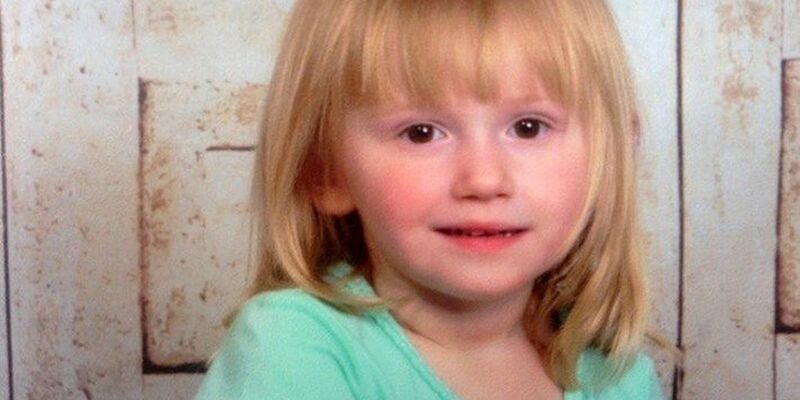 According to Bullitt County Dispatch, Charlee Campbell, 2, has been missing since 10 a.m. Thursday. She was last seen at her grandmother's home in the 600 block of Winding Hollow Road off Lower Beech Grove Road. That's near the Beech Grove Baptist Church in Lebanon Junction. The Bullitt County Sheriff's Office said Charlee has shoulder-length blonde hair and brown eyes. She's approximately 3 feet tall and weighs around 37 pounds. Police also said she was last seen in winter-themed pajamas with designs from the movie "Frozen." Officials confirmed Charlee is on the autism spectrum. There's a possibility her pet pit bull, Penny, is with her. Penny is blue/gray in color, according to officials. Officials began searching for Charlee again Friday morning after the main search for Charlee was paused at 9:30 p.m. Thursday. There was, however, a specially-trained task force that remained out looking for her throughout the night. "It's frustrating. It really really is," Chief Erik Butler said on Thursday. "I've been out here since 10:30 this morning and still nothing." During the overnight search, crews used thermal imaging cameras and helicopters to try to locate her. They urged volunteers to stay out of the woods so the cameras could pick up on Charlee and no one else. People who live in the area are asked to check buildings and their property for the child. "I have a 7-year-old little girl and some older boys and if it was one of our kids I'd expect the same," Raymond Downs, of Bullitt County, said. Downs was one of the dozens of community members who came out to help. He stayed out of the search area while officials kept the public back. Search crews want to assure the public they have the manpower they need. "We've got more than enough help. We've got 40 firemen alone," Southeast Bullitt Fire Chief Erik Butler said. "We've got search dogs, blood hounds, and all these people is coming out in the woods and messing up the scent. I mean, we appreciate people wanting to help but they would be better help if they stayed at home." Southeast Bullitt Fire Department and the Bullitt Co. Sheriff's Office are among the agencies involved in the search. Because the area where the girl was last seen borders Fort Knox, the Army is also conducting a search on their property.